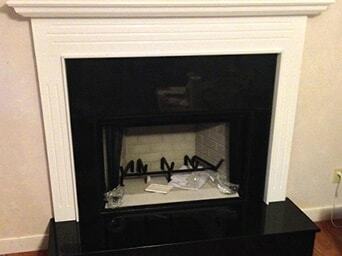 Replaced old gas fireplace. 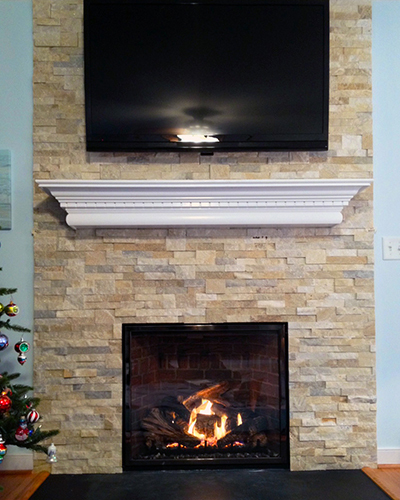 Installed stone wall to ceiling with raised hearth and new mantel. 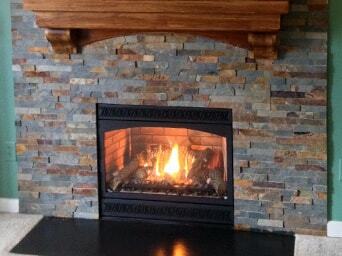 Installed decorative stone panels, blue stone hearth and re-used existing mantel. 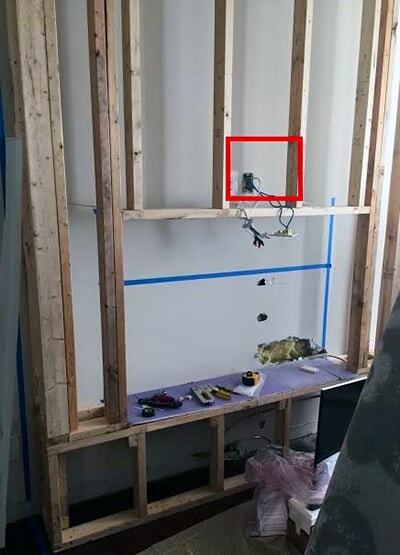 Get Rid of That Brass! 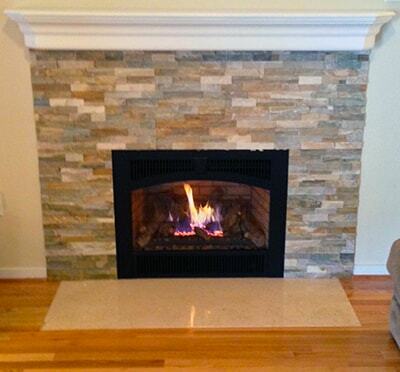 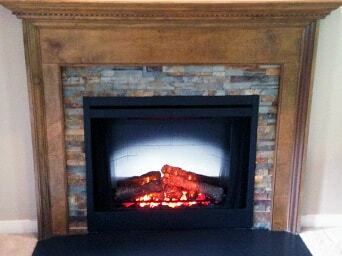 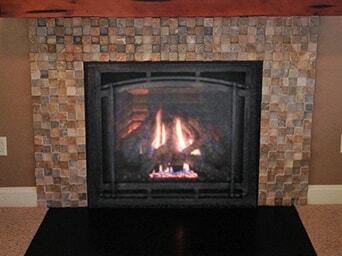 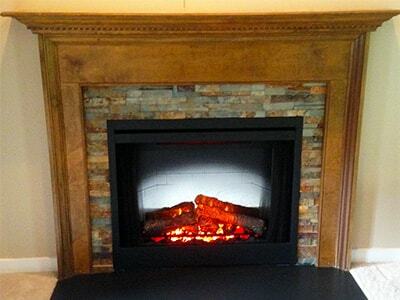 Installed electric fireplace insert, stone panels, granite hearth and added new fireplace door. 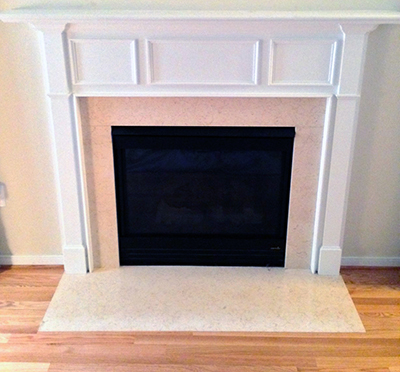 Installed high heat gas fireplace, new granite surround and hearth. 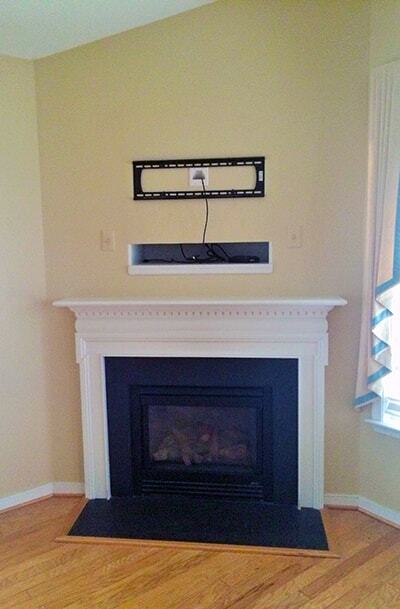 Re-used mantel. 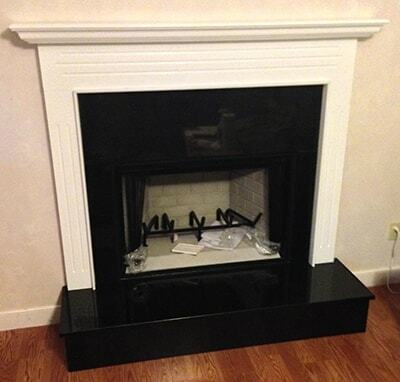 Replaced old gas fireplace. 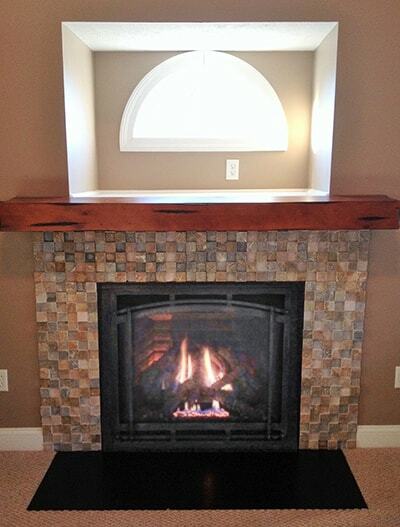 Installed half stone wall with new mantel shelf and hearth. 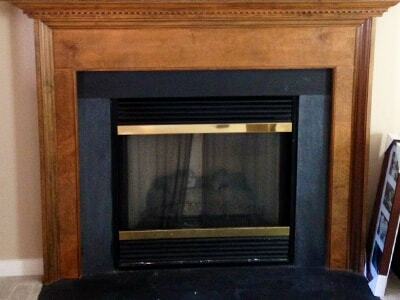 Replaced old gas fireplace. 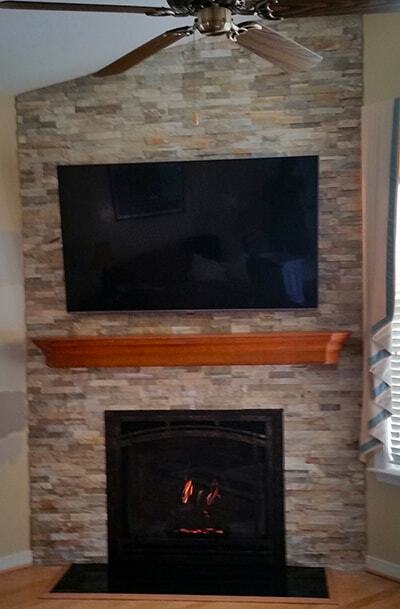 Installed decorative stone panels, new mantel and granite hearth. 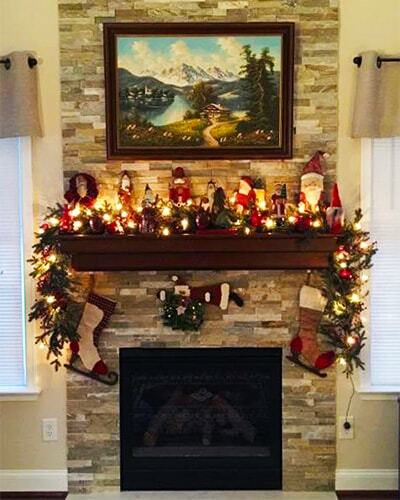 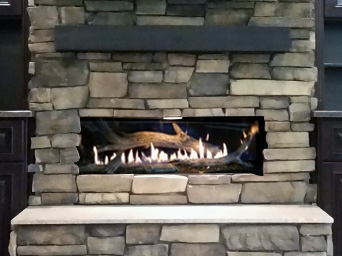 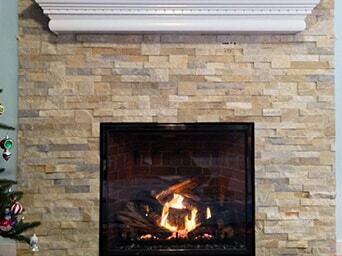 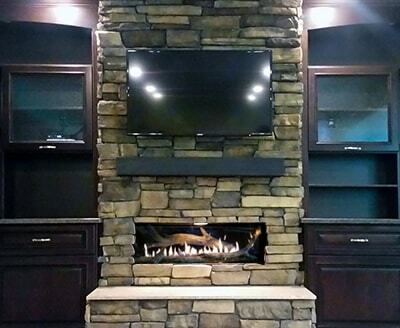 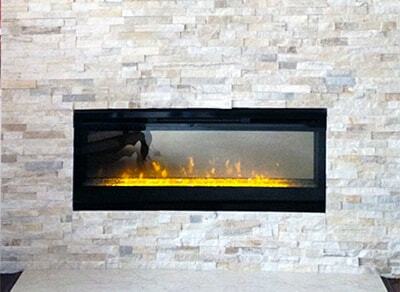 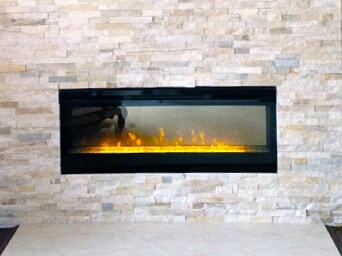 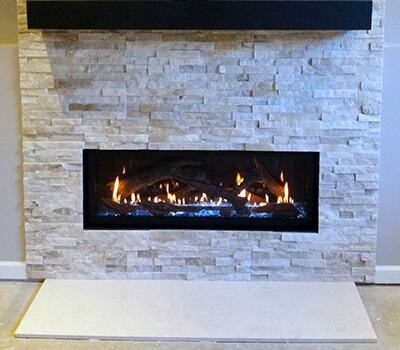 Installed vent free linear gas fireplace with decorative stone wall and mantel shelf. 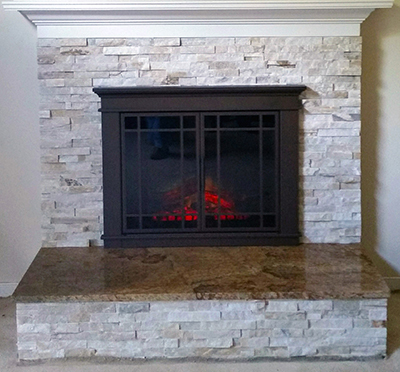 Installed decorative stone panels, new granite hearth and mantel shelf. 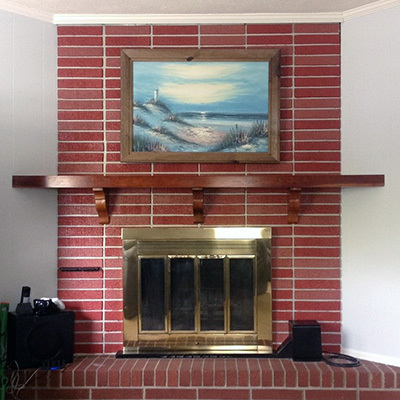 Replaced old gas fireplace. 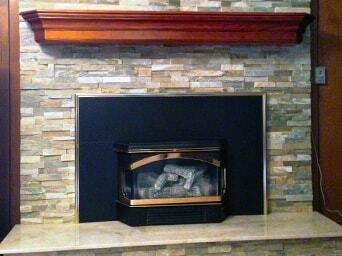 Installed stone wall to ceiling with new mantel shelf. 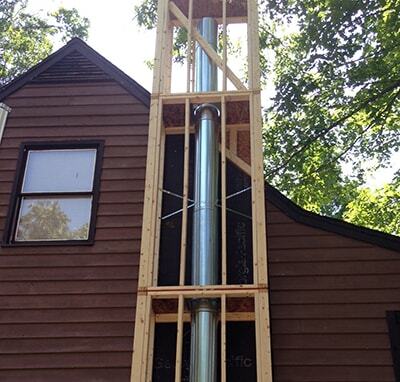 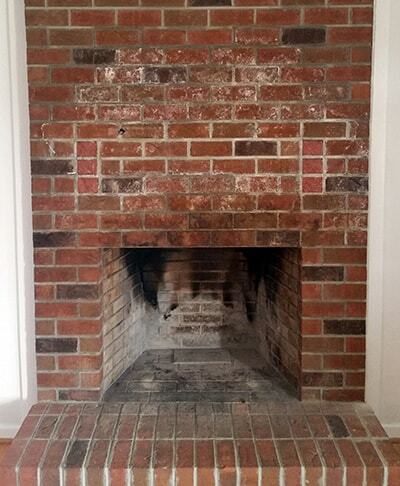 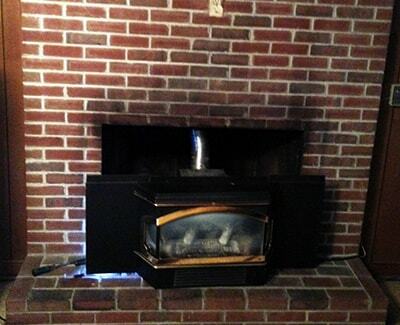 Installed wood burning fireplace, venting and raised hearth where there was none. 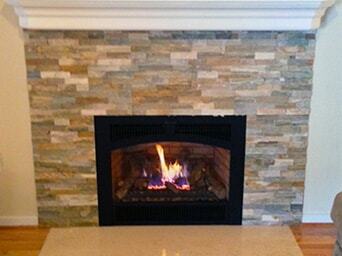 Installed gas fireplace insert, stone wall, custom cut hearth. 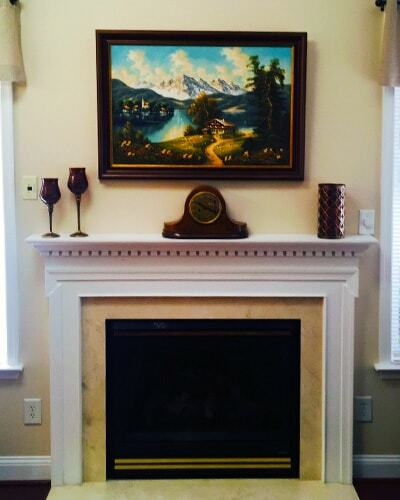 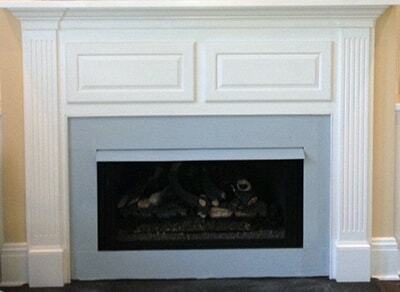 Homeowner refinished mantel. 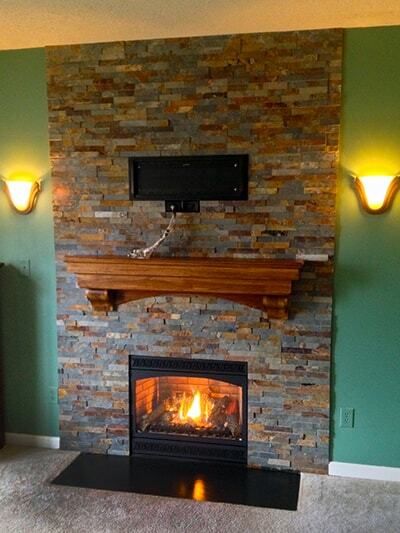 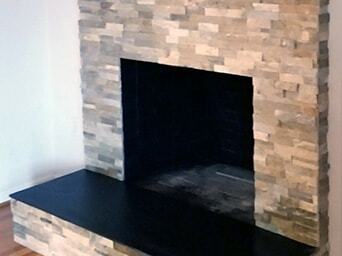 Installed electric linear fireplace, stone wall and granite hearth between existing book shelves. 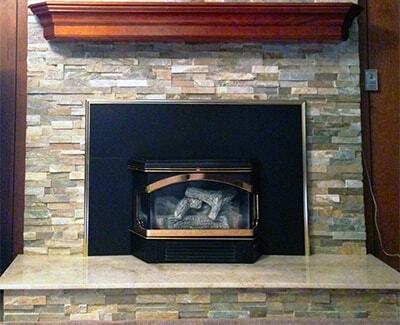 Installed decorative stone panels and new mantel shelf. 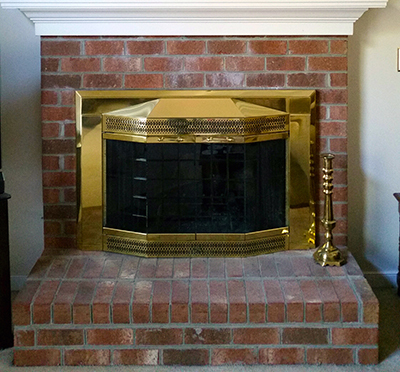 Painted brass louvers. 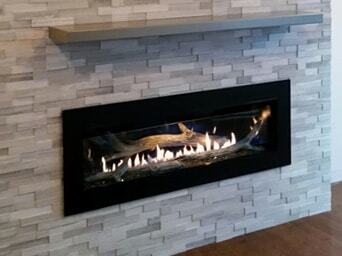 Installed linear gas fireplace with driftwood; raised hearth, stone wall and mantel shelf. 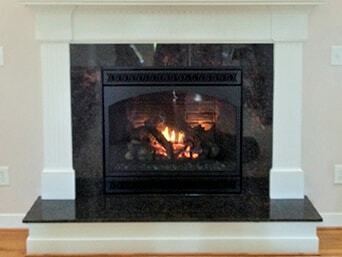 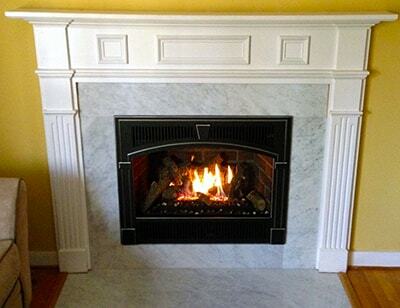 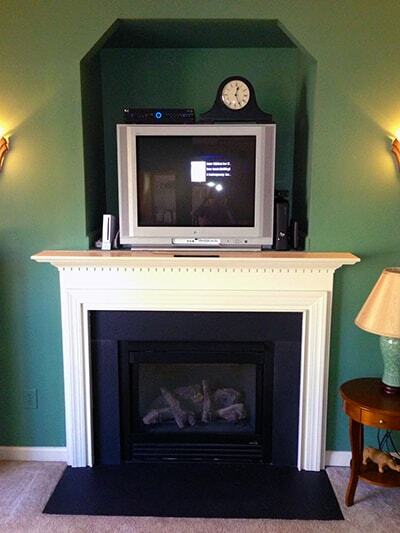 Installed electric fireplace, stone surround and re-used existing mantel and granite hearth. 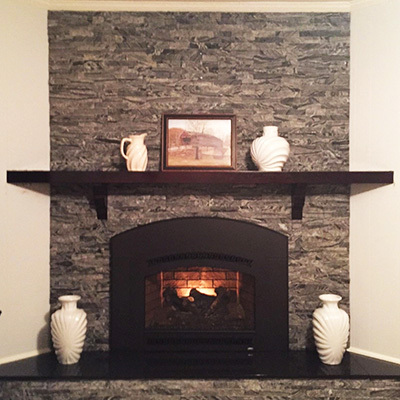 Installed decorative stone panels, slate hearth and unique metal mantel shelf. 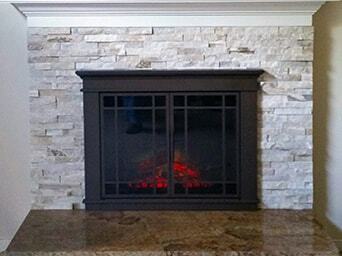 Installed Mendota clean view fireplace, decorative stone wall and new mantel shelf. 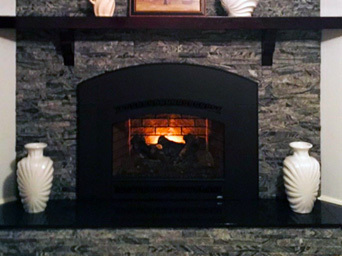 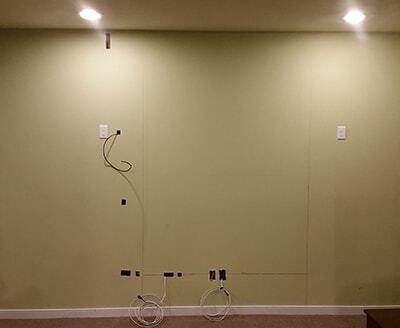 Replaced gas fireplace. 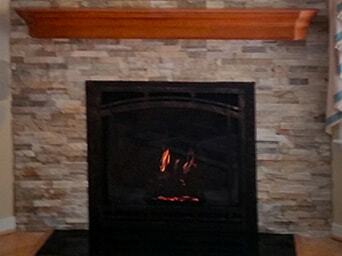 Installed unique stone panels, mantel shelf and granite hearth. 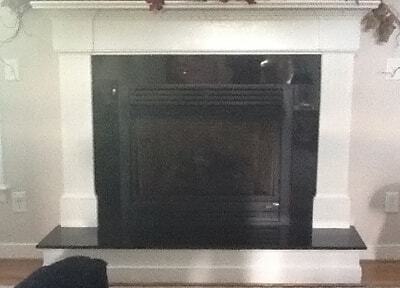 Replaced old gas fireplace. 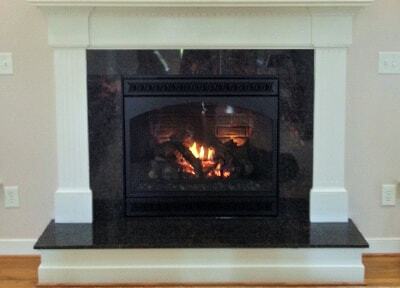 Installed new granite surround and re-used existing mantel. 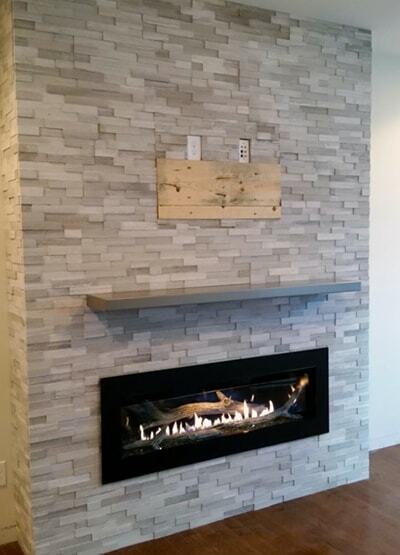 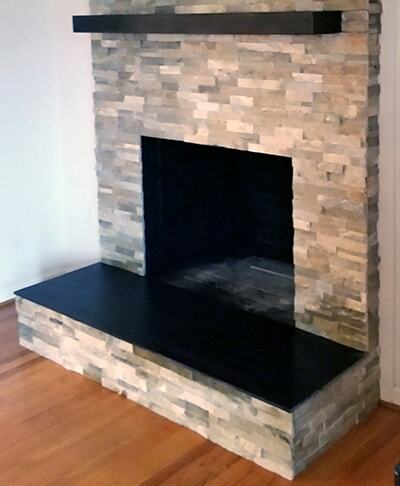 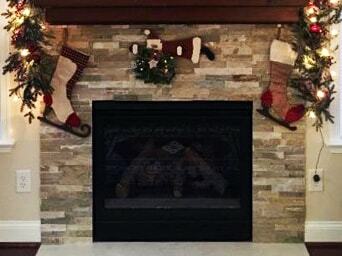 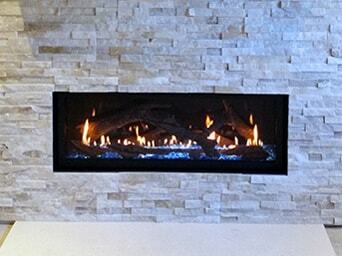 Installed linear gas fireplace with driftwood; decorative stone wall, hearth and mantel shelf.